NEW YORK.- Cyprus Federation of America held on Saturday, October 16, 2004, its Annual Awards Gala, honoring the Republican Florida Congressman Lincoln Diaz-Balart and Greek American NY State Assemblyman Michael Gianaris. More than 400 people attended the event, including Archbishop Demetrios of America, the Secretary General of New Democracy Vangelis Meimarakis, Congressman Wiener, Assemblyman Matthew Mirones, Ambassadors Evriviadis and Mavrogiannis of Cyprus and Ambassador Vassilakis of Greece. Also present were the Consuls General of Cyprus and Greece, Martha Mavrommati and Catherine Bouras. Cyprus Federation President, Peter Papanicolaou praised the honorees for their dedication in supporting our community’s struggle for Cyprus. “Congressman Lincoln Diaz-Balart is a great friend and fighter for the Cyprus cause”, said Papanicolaou, who told the audience the many efforts of the republican congressman for Cyprus. Before the April 24 referendum, when pressure was imposed on the people of Cyprus, to concede on a bad solution, Balart addressed the Cypriots telling them to vote free their will and not to be afraid, because they have many friends in Congress to stand by their side. Papanicolaou said about Michael Gianaris that he is someone recognized beyond the Greek American Community. “He is a fighter not only for our causes, but also for his constituent. He is very active in Albany and a leading candidate in the New York Attorney General race”. Congressman Diaz-Ballart expressed his gratitude for the honor, and praised the leaders of the Cypriot Community for their dedication to their struggle. 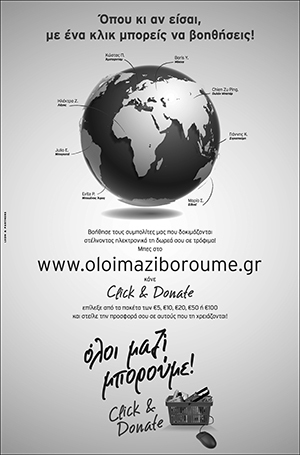 “I admire you for keeping a commitment to a cause and never giving up and for your solidarity to your fellow Hellenes. I will continue working along side with you, until freedom and justice be brought on every inch of Cyprus”. Michael Gianaris thanked Cyprus Federation for the honor and for helping him in his political career. He also spoke about the influence their struggle and example had on him. “I wouldn’t be here without your help. I am your creation”, Gianaris told the audience. Finally, he characterized the NO vote of the Greek Cypriots at the referendum similar to the OXI Greeks said, on October 28, 2004.